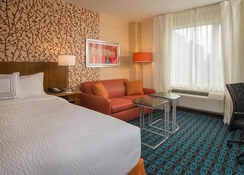 Fairfield Inn and Suites New York Manhattan Downtown is a family-friendly luxury property located in the Lower East Side area of Manhattan only a few minutes from the East Broadway Underground Station. 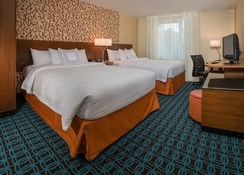 A favourite of all kinds of travellers to the Big apple, the hotel offers a convenient location with comfortable accommodation and great hospitality. Full of amenities like a complimentary breakfast every morning, rooms with flat screen TVs and comfortable facilities to make it feels like a home away from home. 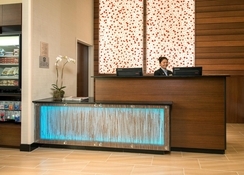 With a fully-equipped business centre, this hotel is geared to serves as a base for work or rest. Several New York attractions such as Little Italy, South Street Seaport, Pier 17, Rockefeller Centre, Pier 36, Chinatown and the 9/11 Memorial are only a few minutes from the hotel. 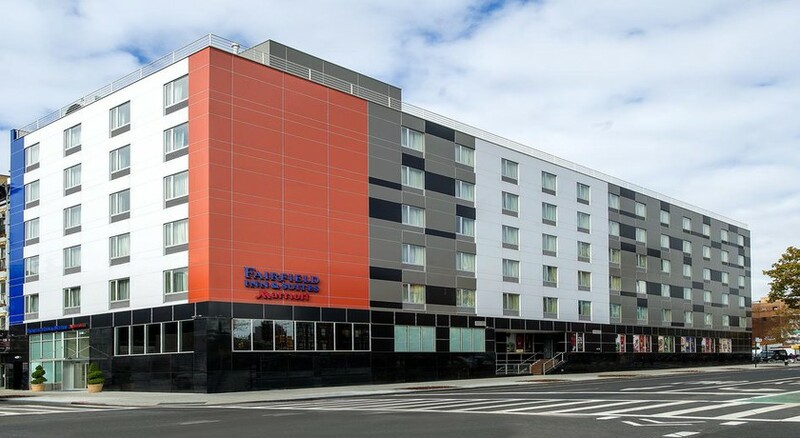 Fairfield Inn and Suites New York Manhattan Downtown is located on the Lower East Side area of Manhattan. Situated in a popular business district, this property is literally minutes from several tourist attractions. The Empire State Building is 5.2km, Madison Square Garden is 6km and the LaGuardia Airport only 15.1km from the hotel. 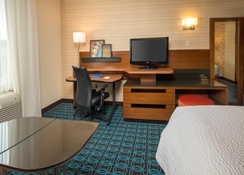 Fairfield Inn and Suites New York Manhattan Downtown offers free high-speed Wi-Fi in all rooms and suites. 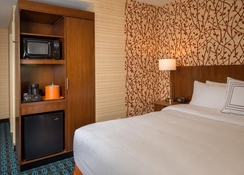 The guestrooms are spacious with modern furnishings, coffee makers and ironing boards. Peep into the happening Chinatown with soundproof windows or lapse into luxury with luxury bedding and pillows. All the rooms come with flat screen TVs, mini-refrigerator and microwave. Guests can choose between rooms with two Queen Beds, one King, one King + Sofa bed, Executive Guest room with one King + Sofa bed. Fairfield Inn and Suites New York Manhattan Downtown serves a complimentary hot breakfast each morning and along with coffee or tea along with fresh fruit, pastries, eggs and bacon. The Corner Market offers light snacks and drinks. There are tea/coffee makers in rooms. 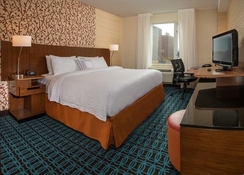 Fairfield Inn and Suites New York Manhattan Downtown has a fully-equipped fitness centre for those who’d like to stay active during their travel. There are comfortable public areas to relax with free newspapers.